Contrary to his gentle manner of speaking, he had an unshakable belief in his words. 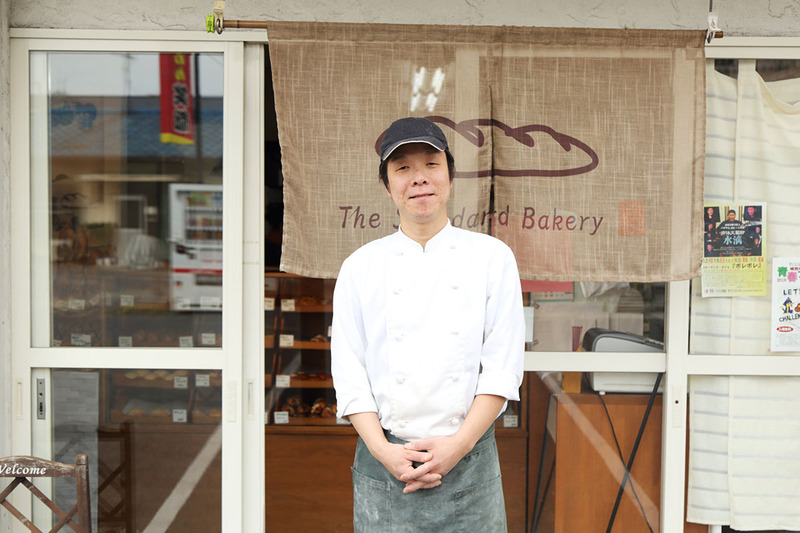 Mr. Shoji Fujii, a baker opened a small bakery called “The Standard Bakery (abbreviated as Stanbe)” in June, 2011.  In the retro showcase appearing in front just after passing under a noren (a short split curtain), snack breads and deli breads named to give a little chuckle, such as “Kaman!” “Bananaccho”, are carefully arranged. What Mr. Fujii really desired to make was a bread using rye and whole wheat on display beside the showcase. Rye known as an ingredient in German-style breads is said to be higher in nutrients than commonly used flour, from which distinctly acidic and chewy breads can be made. Whole-wheat flour is a kind of flour milled as it is without removing wheat bran and germ. Take, for example, rice; it is much like brown rice, and this is also an ingredient familiar to health-conscious persons as rye. 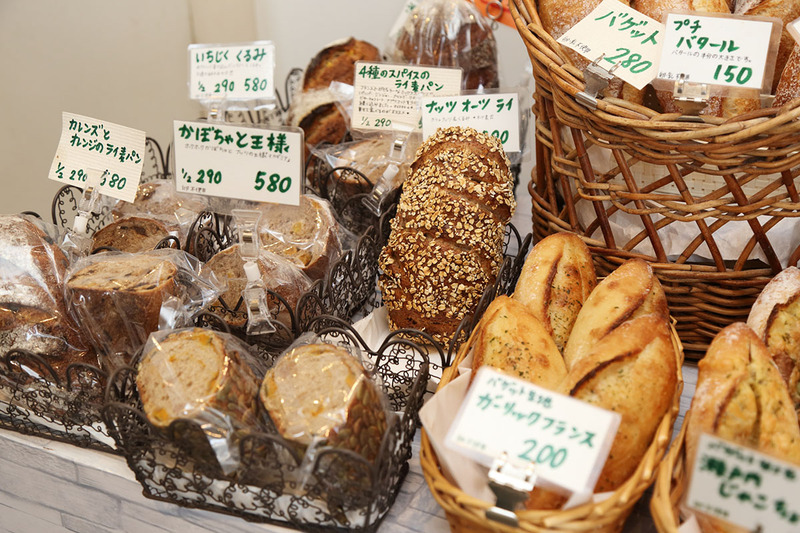 “The Standard Bakery” uses the whole-wheat flour made by milling the wheat grown by farmers in Ashida-cho, Fukuyama City. It is characterized by slight acidity and crispy texture. “Unlike rice, ears of wheat turn into lush green in early spring. I also go to the fields.” He showed some photos. He bakes breads with the wheat purchased from reliable producers. It is not so easy because there are only a few wheat farmers in Fukuyama City in the first place. However, Mr. Fujii sticks to his own beliefs in the careful selection of materials for his ingredients. 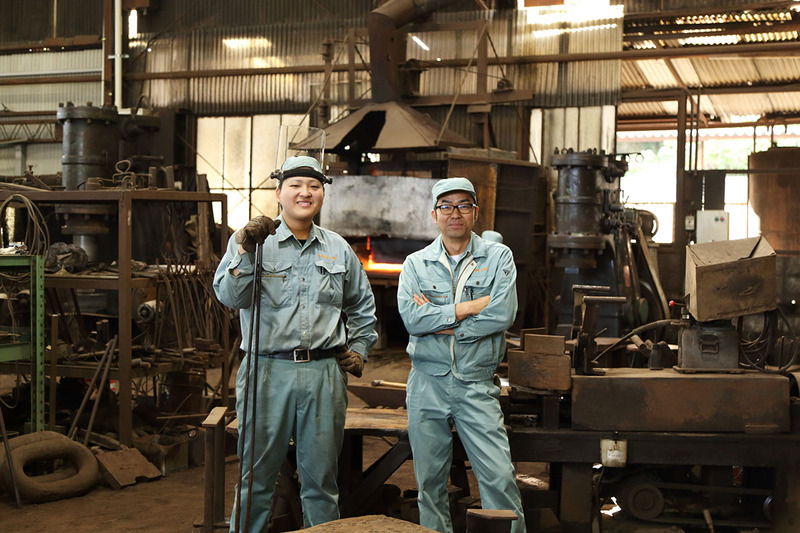 Mr. Fujii says, “My motto is safety and peace of mind without exception. As we cheer up when we eat something tasty, I would like to invigorate the body with nutrient-rich, safe breads.” Yeast and other additives to increase workability are never used. “Because even children eat breads, we must do this even if it takes time and effort.” Mr. Fujii never relaxed his hands in the preparation of his breads. “Even without using additives, good breads can be made with correct knowledge.” His straightforward eyes and words were seemed to strengthen our posture. 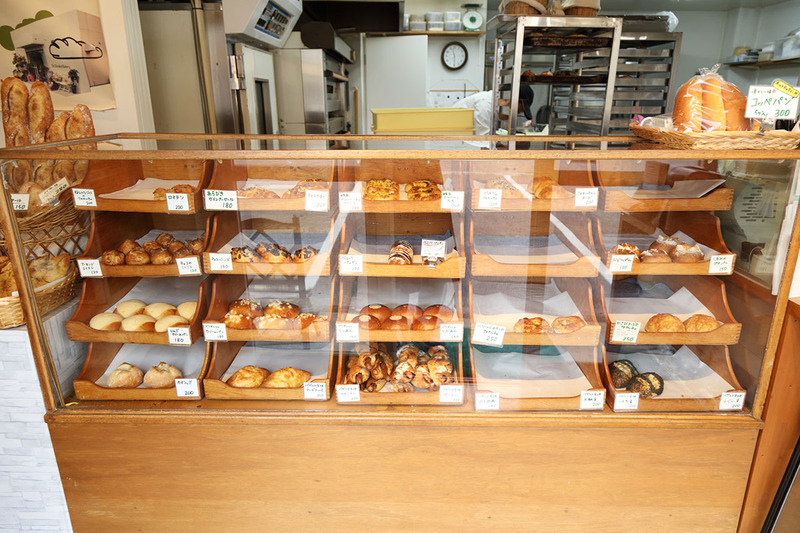 Even during the interview, regular customers visited and left his shop happily one after another with Mr. Fujii’s breads in their hands. Even when the breads they wanted were sold out, they flashed a smile, “Too bad. I will come again!” It is easy to see how much the shop is loved by townfolk. 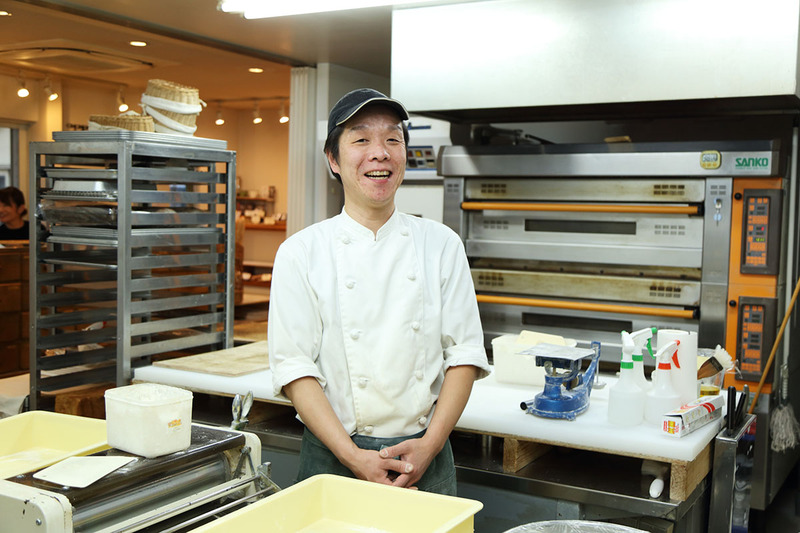 “No matter how demanding, we make decent breads in a proper manner because we are the standard bakery.” He was holding on to his belief and was stubbornly maintaining his mind to parts he was particular about. What an “artisan” was supposed to be in the food field was seen in the wafting aroma of breads. ANCHOR BAR offers hot dogs made with “The Standard Bakery’s” original whole-grain hot dog buns. 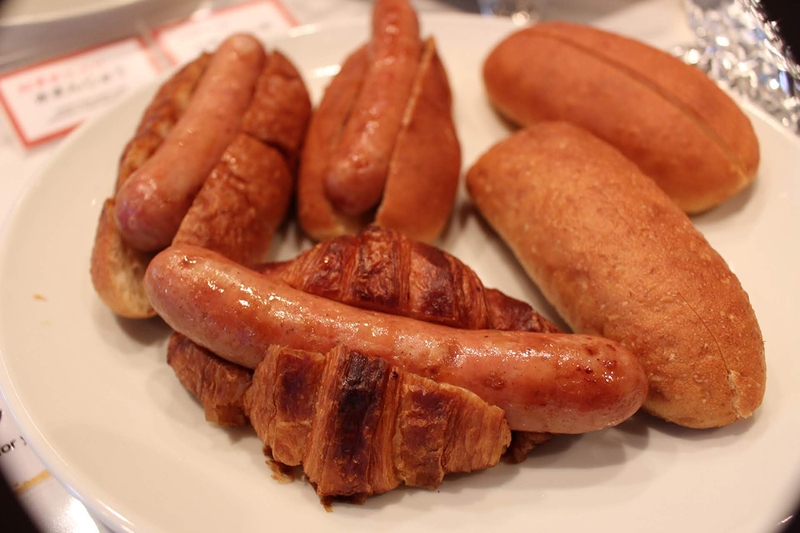 They are mildly baked, sticking to a springy texture so as to capitalize on the taste of sausage from “Ikeguchi Meat Shop” which are sandwiched between the buns. Of course, the wheat is produced in Fukuyama. Enjoy the flavor unique to whole wheat. “safety and peace of mind without exception” as its motto; baking breads by using only carefully selected materials without relying on unnecessary additives. Hard bread using rye and whole-wheat flour and white breads as well as a lineup of snack breads and deli breads that vary day by day have legions of fans.